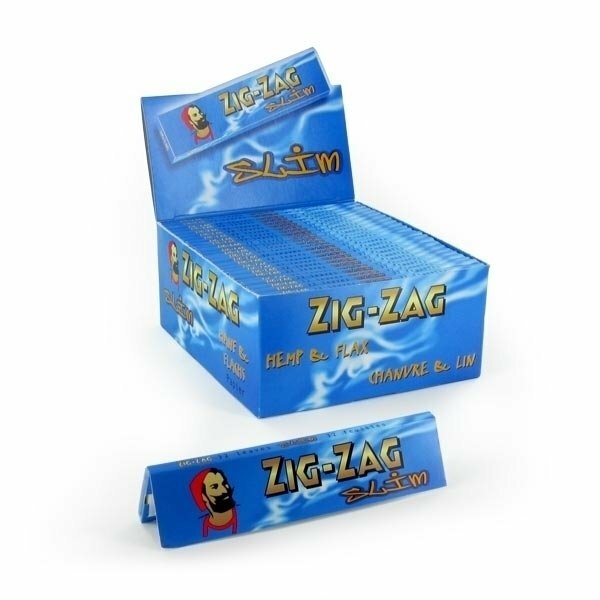 The Zig Zag Blue Slim king size rolling papers are made from flax and hemp only. Perfect for a slow burning slim blunt or cigarette. Light and extra thin to allow for the flavor of your tobacco to unfold. Each booklet contains 32 papers.